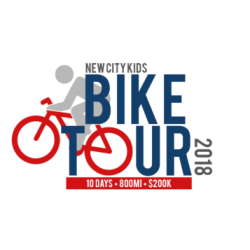 We will be riding over 800 miles in ten days this June to support the mission of New City Kids. Riders will help spread the mission of New City Kids as they raise funds for the ministry and bike across multiple states. Ultimately, our goal is to support 40 Teen Life Internships! The ride will start at our flagship location in Jersey City, New Jersey and end in Grand Rapids, Michigan. This is an excellent opportunity to support something great while partaking in a grand adventure. Check out The Ride Guide for more information!